The Ice Tethered Profiler (ITP) is an autonomous time-series instrument that vertically profiles the water column under the ice. 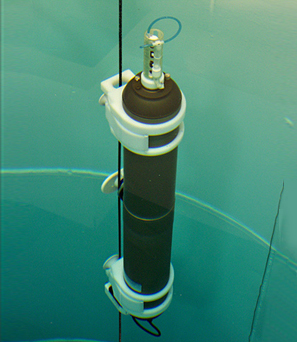 The ITP collects in situ measurements of conductivity, temperature, and depth. Data can be automatically transmitted in near real time via inductive modem when connected to a surface controller. Profiling depth, time intervals and pressure stops are user-defined, and profiling patterns can span specific seasons or timeframes. 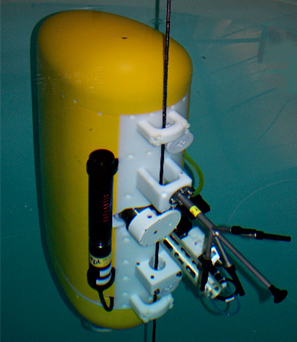 The McLane Moored Profiler (MMP) autonomously profiles the water column along a fixed tether while carrying a selection of oceanographic sensors. Profiling depth, time intervals and pressure stops are user-defined, and profiling patterns can span specific seasons or timeframes. An optional underwater inductive modem provides real-time communication between the MMP and a surface buoy or seabed node. We offer two MMP models: the standard and extended version. The extended MMP provides 50% more battery capacity and is only 12.7cm longer than the standard MMP.